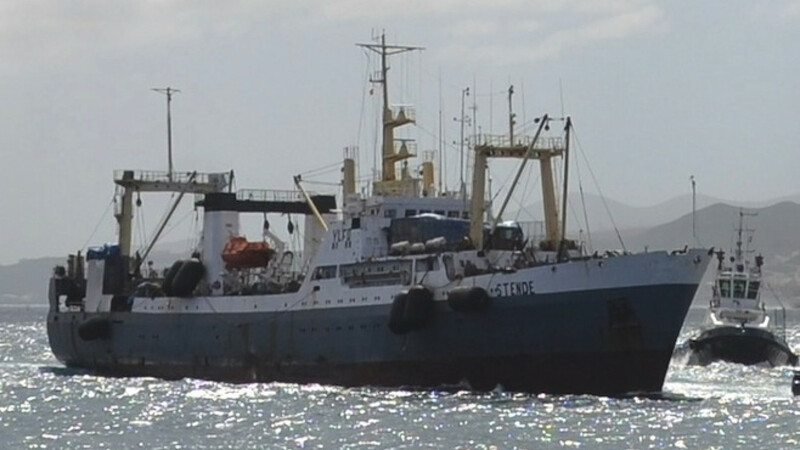 Stende fishing vessel which is known as Dalniy Vostok as from 2014, is seen in Las Palmas, capital of the Spanish Canary Island of Gran Canaria in this March 1, 2011 file photo. The search and rescue operation for a dozen sailors whose trawler sank in the Sea of Okhotsk earlier this month has been terminated, a news report said Monday. The active search for 12 sailors from the Dalny Vostok vessel, which sank 330 kilometers off Russia's far eastern coast on April 2, was called off after hope of finding them was lost, Interfax cited the head of the marine rescue center of the Petropavlovsk-Kamchatsky port as saying. At least 54 bodies have been recovered since the trawler sank. Rescuers managed to save 63 sailors from the ill-fated vessel, whose sinking is thought to have been caused by overloading it with cargo. There were 54 foreign nationals among the ship's 132 crew members, including 42 citizens of Myanmar, according to the Emergency Situations Ministry. 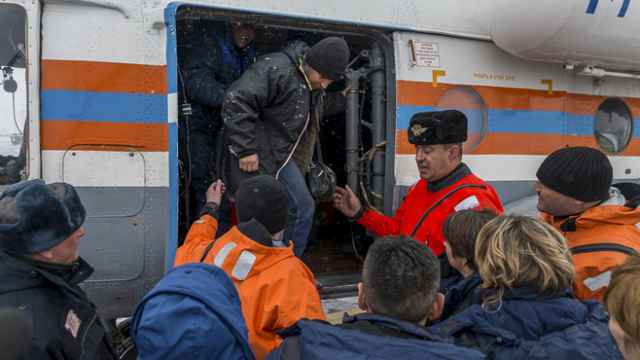 The 26 foreigners who were rescued from the Sea of Okhotsk’s icy waters have been fined 2,000 rubles ($38) each for illegally working on Russian territory, Interfax reported Monday, citing the regional branch of the Federal Migration Service. 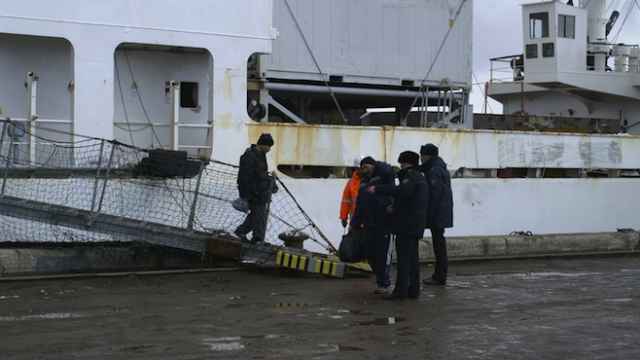 Yevgeny Vitrikus, a Russian sailor rescued from the sinking vessel, earlier claimed that the foreign crew members — citizens of Ukraine, Latvia, Vanuatu and Myanmar — had bribed their way onto the ship, the TASS news agency reported.